Azim Premji-led Wipro Ltd, India's third largest software services provider, has signed an agreement to enter into a strategic partnership with Opera Solutions LLC, a privately held and New Jersey-headquartered Big Data analytics firm. Wipro will invest $30 million in the company to take a minority stake, according to a company disclosure. "This strategic partnership with Opera Solutions will help us further extend our leadership in the Big Data analytics space, as it combines Opera Solutions' machine learning expertise, pre-discovered predictive signals and algorithms with Wipro's proven domain & technology expertise and global delivery model to create industry-specific Big Data analytics solutions. It also enables our customers to maximise the ROI of Big Data analytics implementation through faster adoption," said KR Sanjiv, Wipro's senior VP and global head (analytics) and information manager. "We see a great fit between Wipro's ability to deliver end-to-end services and our ability to scale and industrialise Big Data science. The partnership will also enable us to capitalise on the huge demand for Big Data science solutions," said Arnab Gupta, Opera's chief executive. Founded in 2004, Opera Solutions also runs other offices in North America, Europe and Asia. It leverages advanced technology to extract value from Big Data and uses a combination of analytics technology, machine learning science, large-scale data management and human expertise to build and deliver analytics solutions. The company caters to financial services, healthcare, government, supply chain, marketing, and other sectors. Wipro works with customers to develop end-to-end analytics and information strategy, leveraging process assets and solutions based on analytic business intelligence, enterprise performance management and information management. This is Wipro's first investment in CY2013 and Opera is the first company in which Wipro is acquiring a minority stake in recent times. 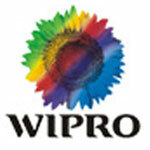 Last year, Wipro acquired Australian company Promax Applications Group Pty Ltd for $37 million.